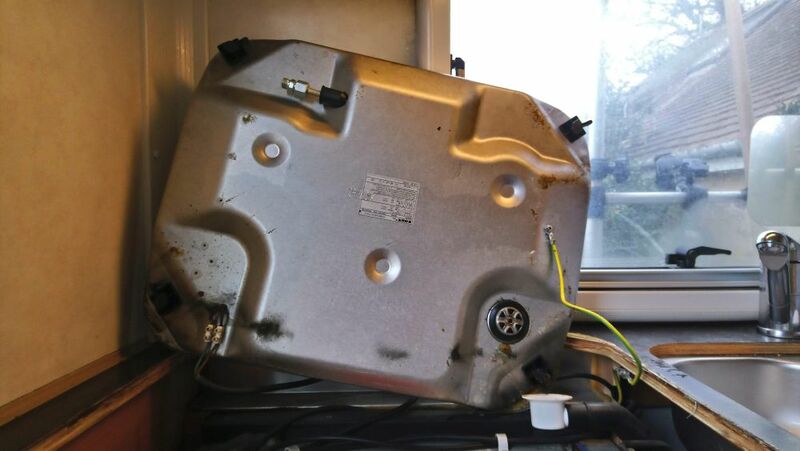 First step is to remove the gas hob for access to the top of the fridge, loosening the four small screws under the bungs in corners of the hob (looking down from the top – no need to remove the screws completely, loosing them will pivot the clamps out of the way so the hob can be lifted) and removing the screw from the centre of the drain plug will allow the hob to be lifted out of the worktop to disconnect the gas supply line. 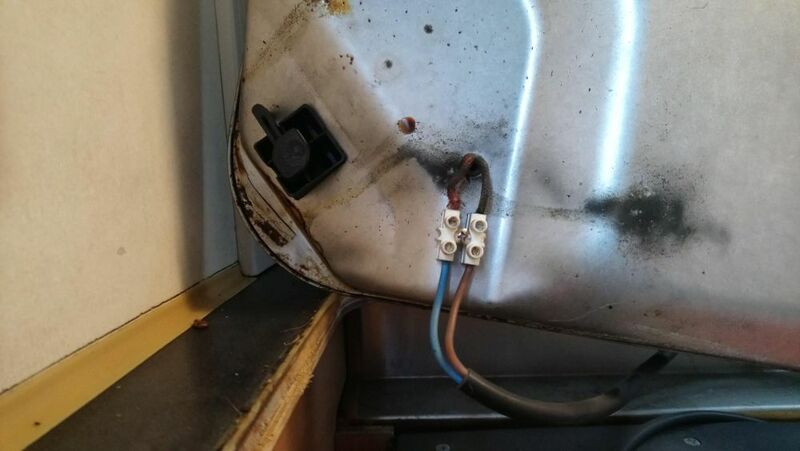 With the hob lifted up the electrical connections for the earth and igniter can be disconnected, allowing the hob to be removed completely. The 12V feed for the heater (red & white wires to the 1st and 2nd terminal block) and 12V feed for light & igniter (brown and blue wires to the 4th and 5th terminal block) can be removed from the terminal blocks directly. 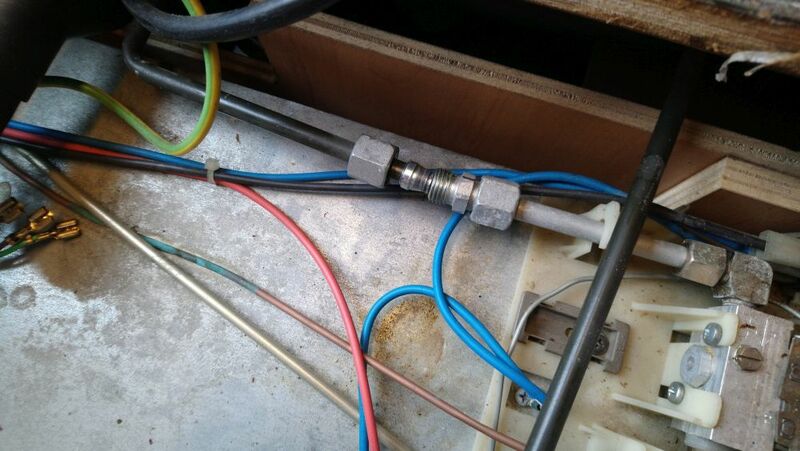 The mains feed is the black cable running over the top of the terminal blocks and this is easier to disconnect at its other end….. 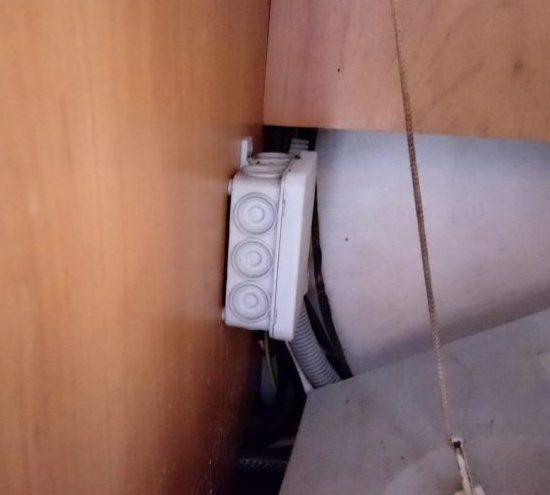 The mains supply to the fridge is connected in a junction box in the cupboard to the right of the fridge – it can be disconnected from here. 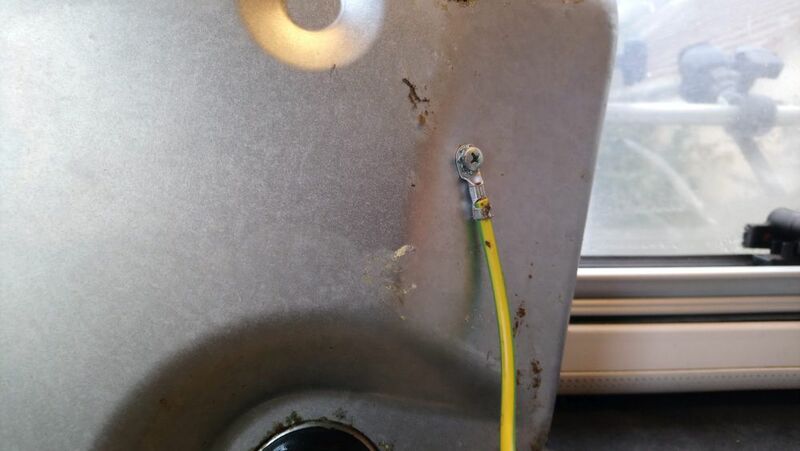 Note – if you have an oven in your B544 instead of a cupboard here the mains connection may be located elsewhere! 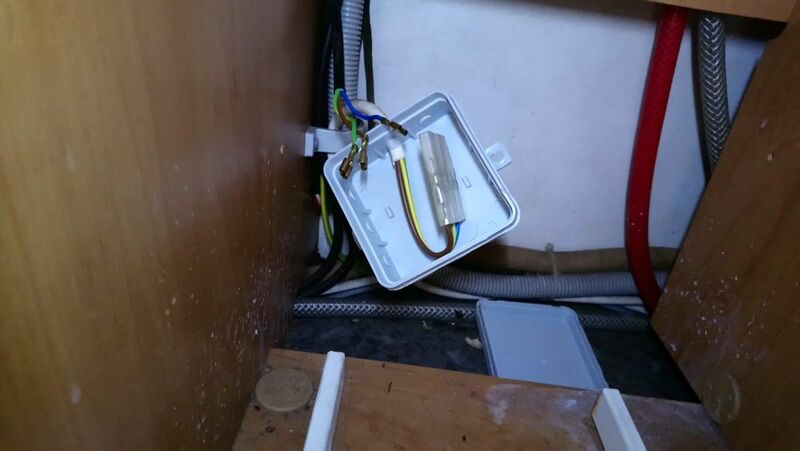 Here is the junction box mounted on the left side of the back of the cupboard. Removing the top and bottom mounting screws that hold it to the wall provides better access. 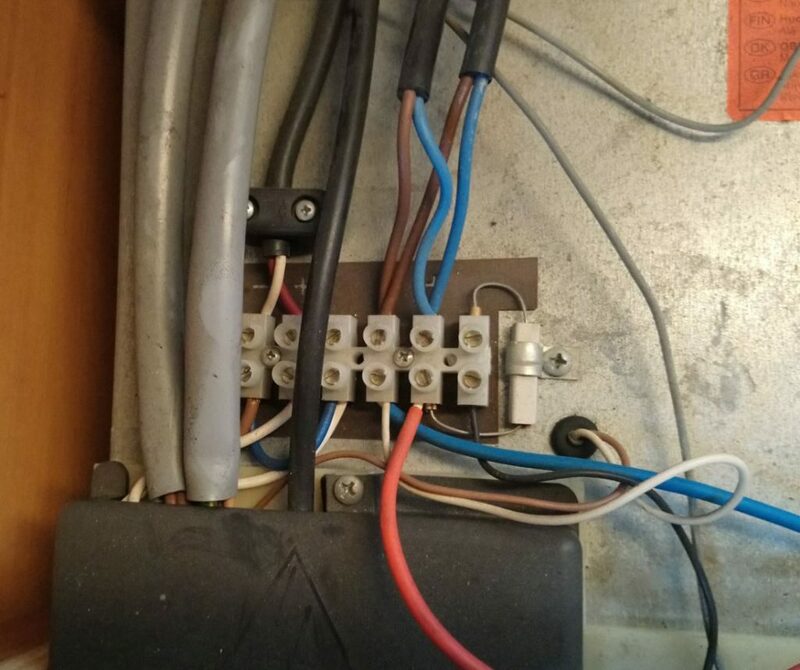 The lid is just clipped on, with the lid removed the electrical connections can be unplugged and pulled out of the terminal box – the cable can then be pulled up to the top of the fridge. 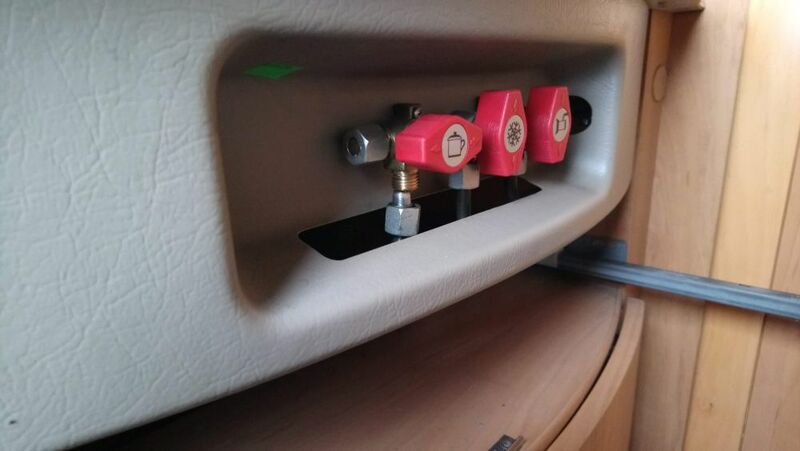 The gas supply line is on the top of the fridge on the right hand side looking down, use one spanner to counter-hold the fridge side of the connection while removing the gas pipe side with another spanner. 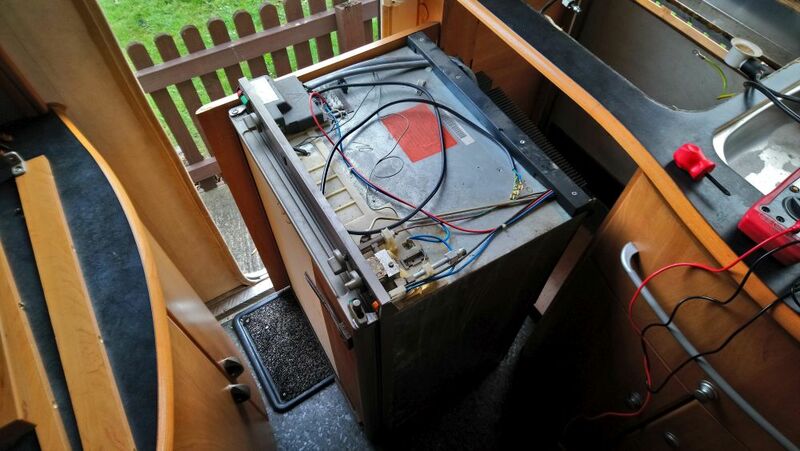 With all the required electrical and gas connections disconnected we can move on to actually removing the fridge. 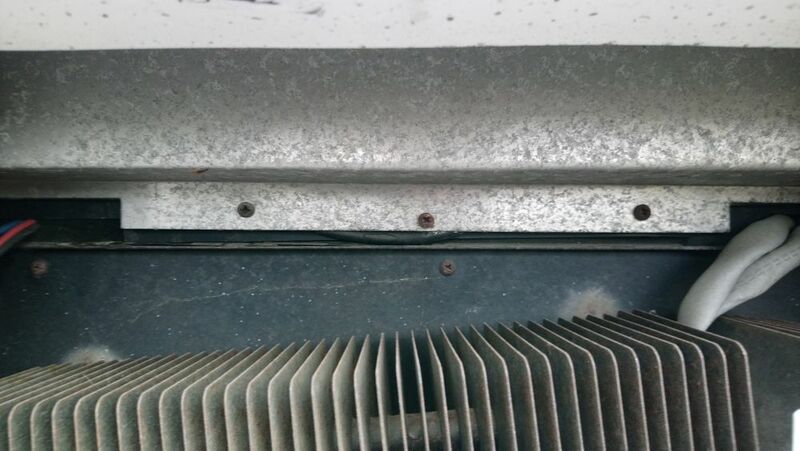 It is held in by four screws on the inside of the fridge itself and some more screws at the rear. 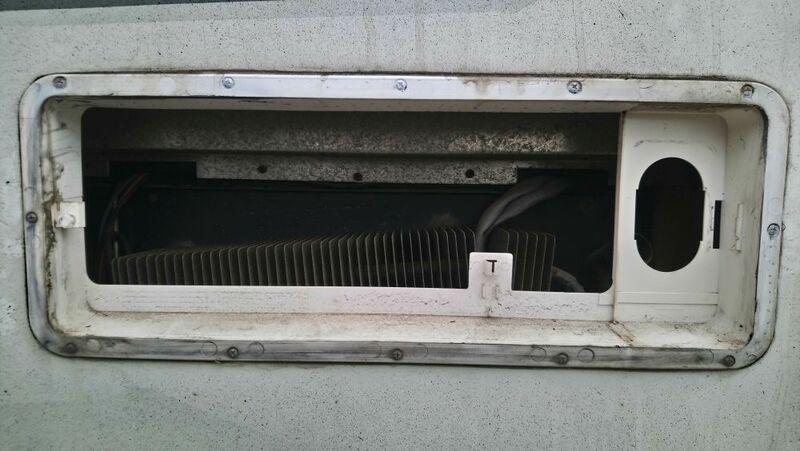 To remove the rear screws unclip the top fridge vent from the outside of the van. Back at the front of the fridge there are some bits of trim/woodwork to remove to allow more wriggle room for the fridge to slide out. 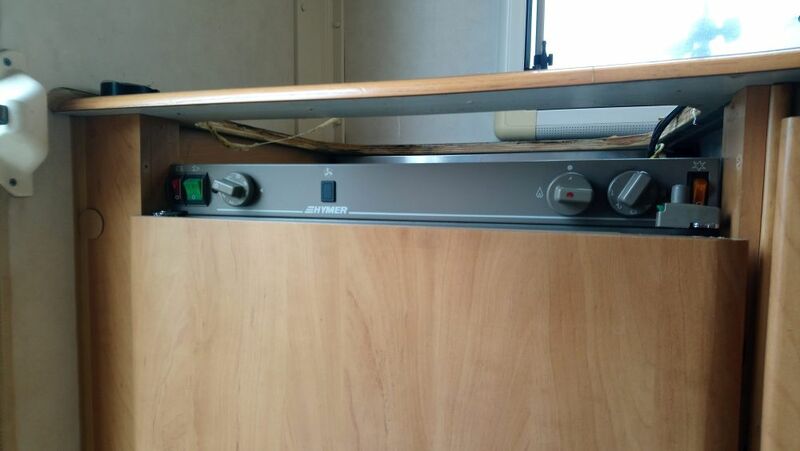 Firstly there is an outer door over the fridge door itself. 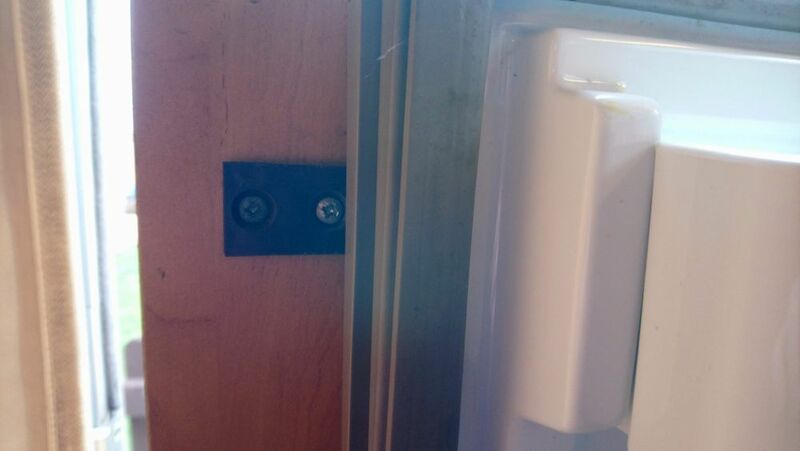 With the fridge door open you can access the screws holding the door runners on to the door, remove these to allow the outer door to swing out of the way of the fridge. 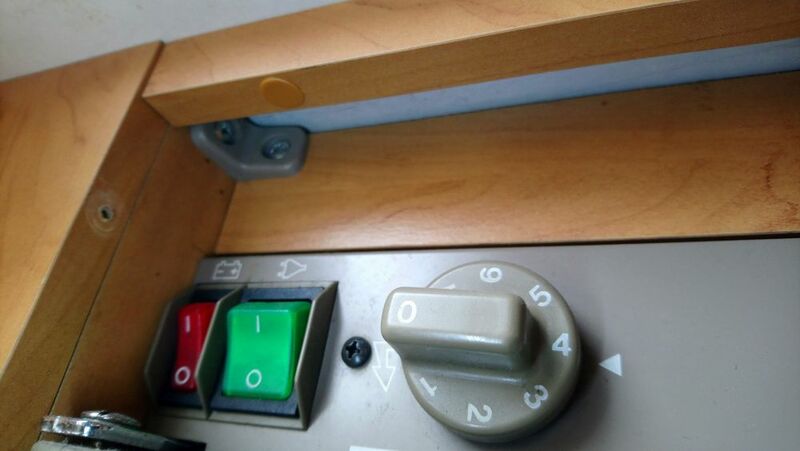 Next remove the trim above the fridge control panel – the plastic control panel cover and two bits of woodwork. Reassembly is basically the whole process in reverse.